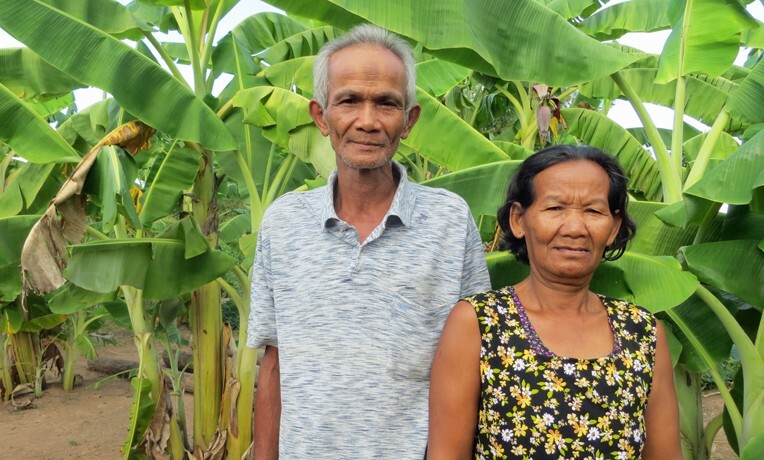 Phenh Hun is a farmer who lives with his wife in northeastern Cambodia. Editor’s Note: In Cambodia, the Water Festival is a celebration that commemorates the end of the rainy season and the reversal of flow of the Tonle Sap River. Recently, Samaritan’s Purse held a Water Festival for poor families who couldn’t travel to the larger cities for the big celebrations. The festivals are intended to be fun events for families, with games, snacks, and an opportunity for families to spend time together. The following is a Q&A with Phenh Hun, a farmer who attended the event. With what problem has this project helped you? My wife and I are poor and have no hope in our lives. We are old and often sick. How did the Samaritan’s Purse project help you with your problem? Samaritan’s Purse conducted a Water Festival in my village where they shared the Good News. My wife and I have heard such a wonderful message from the staff; thus, we decided to accept Jesus as our Lord and Savior. Now we have hope for our future. Has this project helped your physical health? We sleep well now because we don’t worry about the future. Has this project helped you spiritually? This project has helped me to grow in faith. My wife and I read our Bible and sing praises to God. Will the help you have received continue to make a difference for you in the future? We will keep following Jesus. How have you started sharing what you learned with other people? We haven’t started sharing what we believed, but I hope I will share it when someone comes to visit us.